Early spring is lambing time. Inside the lambing shed these ewes are waiting to give birth. Lambing indoors means the new-born lambs will be protected if the weather is still cold and wet. 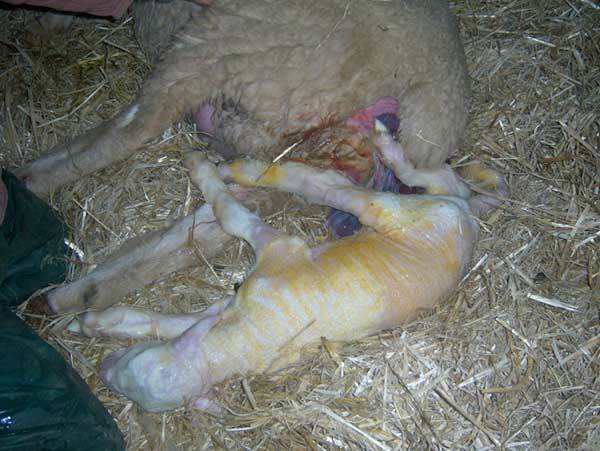 Most ewes will give birth quite quickly on their own. Occasionally the farmer has to help. A gentle pull on the front feet eases the lamb out. This lamb has been delivered safe and well. By vigorously licking the lamb the ewe encourages it to get up. This also helps to build a bond between mother and baby. 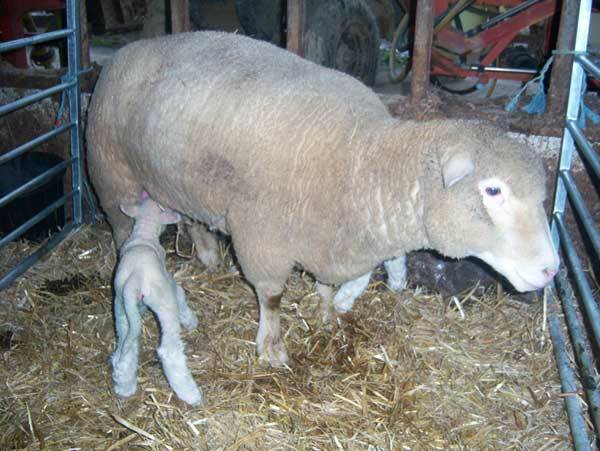 The ewe and her new born lamb are put in a pen on their own while they get to know each other. 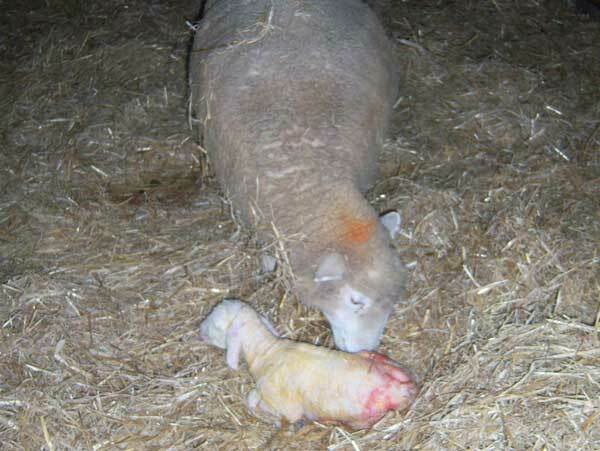 The lamb quickly finds the udder and has its first drink of milk. 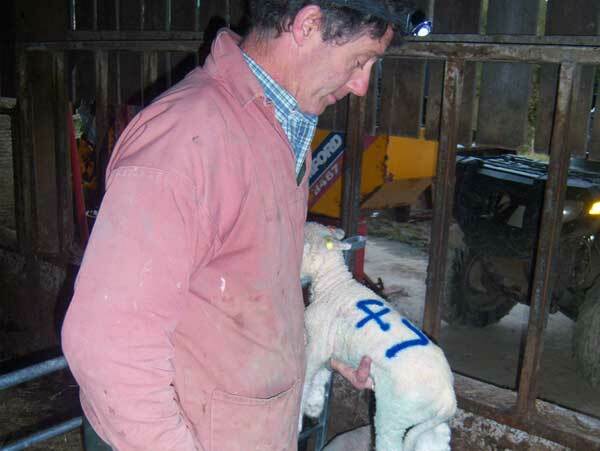 Before the ewe and her new lamb are turned out in the field with the flock, matching numbers are sprayed on them. This will help the farmer reunite stray lambs with their mothers. In late spring sheep need shearing. 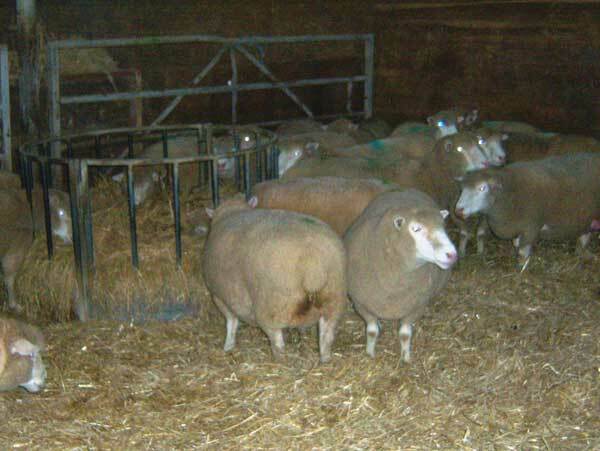 Sheep grow wool continuously and if their fleece is not removed before the warmer weather of summer, they can become very uncomfortable and stressed. Depending on the breed of sheep, a fleece will weigh 3-5kgs; that’s enough wool to make a man’s suit or 100 miles of fine yarn. 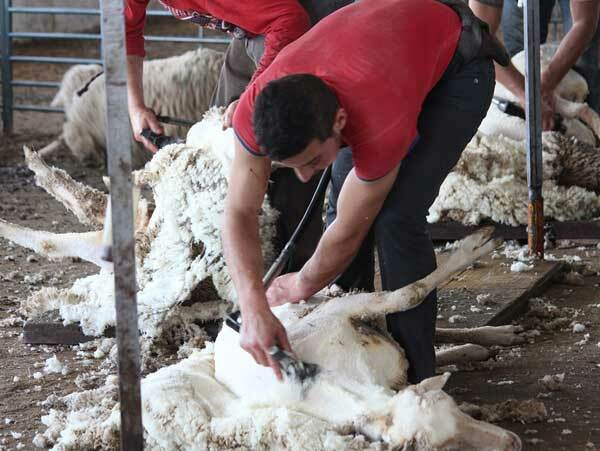 The shearer turns the sheep on its back to keep it still and skillfully removes the fleece in one piece with electric shears. It’s like having a haircut and doesn’t hurt the sheep. The shorn fleeces are carefully folded and packed into large sacks. These are taken to the British Wool Board’s depot in Liskeard where the wool is graded according to quality and colour before being sold. The British Wool Board finds a market for most of the wool from British sheep, paying the farmer according to the grade of the fleece. 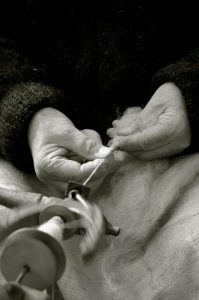 Much of the wool produced in Cornwall is used to make carpets. Before it can be used, the wool must be washed to remove the natural grease; this is lanolin which is used in soap and face cream. Then the wool must be combed and spun into yarn. Wool was an important product in England in the Middle Ages and a valuable export. Woollen cloth was produced in the home using hand-powered machinery like the spinning wheel. By the middle of the 18th century production had moved to factories which housed the new steam-powered spinning and weaving machines. This made production quicker and cheaper. Imports of cotton from the American colonies and later India gradually displaced home-grown wool; cotton was easier to use in the factory machines and woollen cloth production declined. 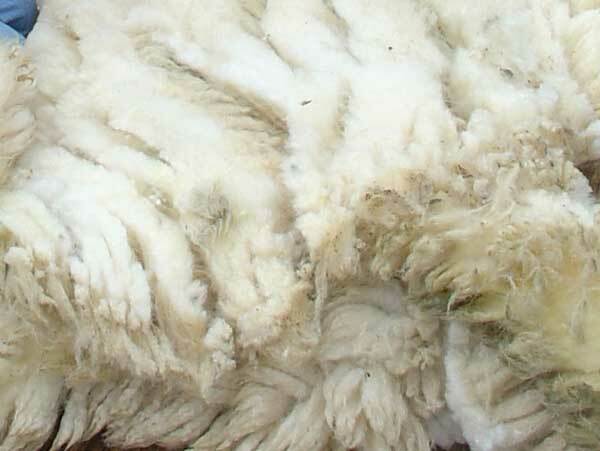 Nowadays the value of the raw wool is low and barely covers the cost of hiring the shearers. 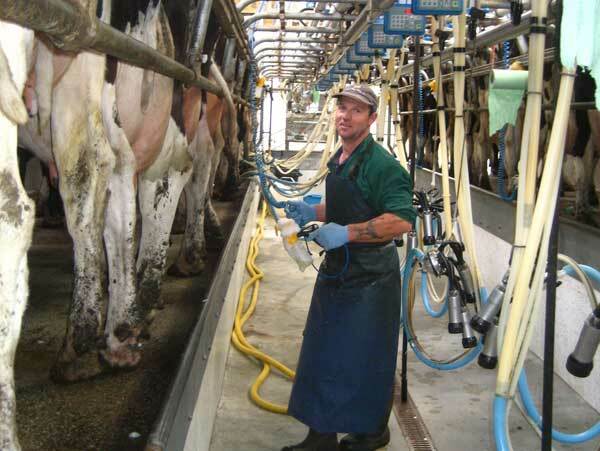 Dairy farming is the most important sector of agriculture in Cornwall and the county is famous for the clotted cream, cheese and ice cream it produces. 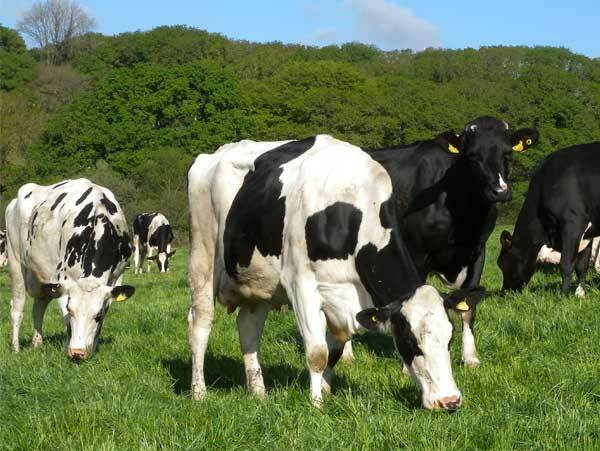 Cornwall’s warm wet climate means grass grows virtually all the year round making it ideal for livestock, particularly dairy farming. The basic work routine on a dairy farm stays the same 365 days of the year. The cows are usually milked twice a day. 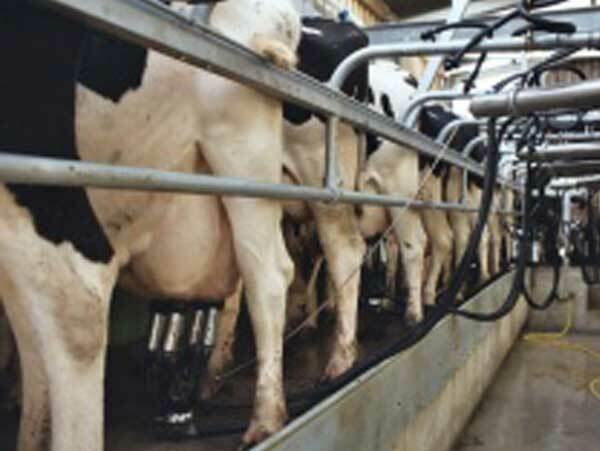 In a modern milking parlour one person can milk 100 cows in an hour. First, the udder must be wiped clean. 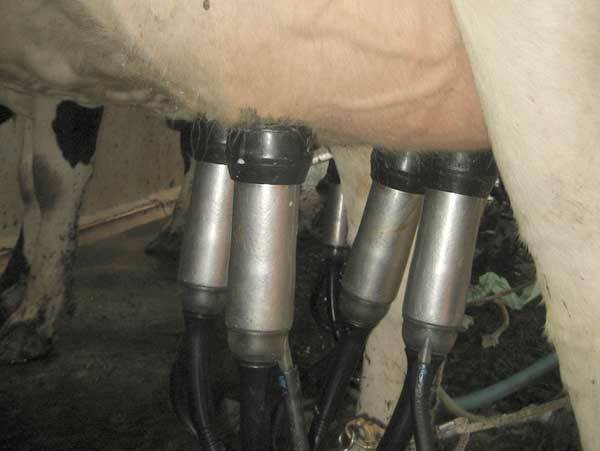 Then the clusters of the milking machine are attached. These gently draw the milk from each teat, mimicking the sucking motion of a calf.